Make your way to the UK referral page and fill out your details on the referral form. Once filled out you’ll be taken to your refer a friend dashboard, where you can share, email or send a link direct to your friends. Ensure your referred friends use your unique link when they sign up for their new Vivobarefoot account. Once they’ve placed their first order (£100 minimum spend) you’ll receive your £25 credit. Get hold of your friend’s referral code, you can either have them email you directly, get it from social media or simply copy & paste it. Navigate to the site via that referral code/link and sign up for your new account. Ensure your first order is valued at over £100 to unlock the £25 credit both for yourself and your referring friend. 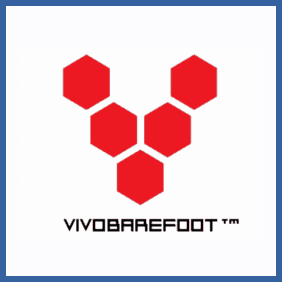 Vivobarefoot make minimalist barefoot running & everyday shoes for men, women and children. Barefoot running is a trend that’s increasingly popular and, whether you’re an existing customer of Vivobarefoot or not, you can use their refer a friend promotions to get £25 in credit to spend at their online store. Just ensure that your new customer friend spends over £100 when they place their first order. Click Below to Use Ours!